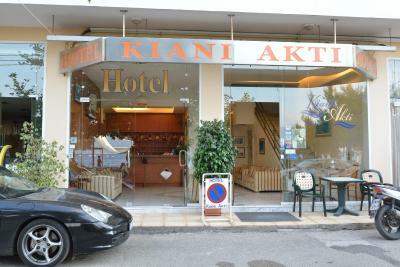 Lock in a great price for Hotel Kiani Akti – rated 8.2 by recent guests! Perfect location. Nice to have a balcony to enjoy the ocean views. This hotel is simply the best. 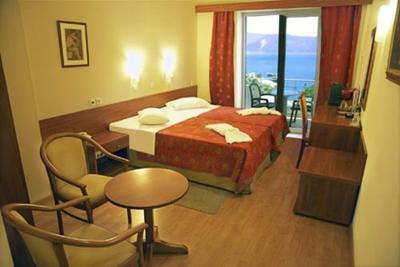 It offers guests spacious rooms overlooking the most spectacular vistas of the sea right outside the window. 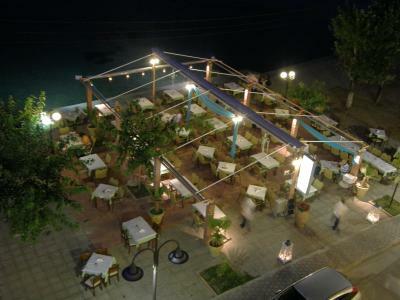 The restaurant offers the finest Greek cuisine at very affordable prices. The service at the hotel and restaurant is courteous and helpful. Top rated! 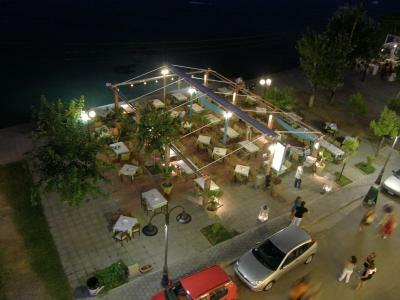 Beautiful spot overlooking the water with restaurant tables right next to water. We did not go to the beach. Room was big and clean. Nice staff. 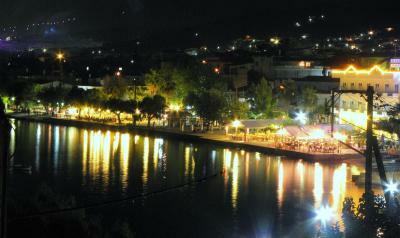 We stayed on a stopover from Delphi to Olympia (didn't want to stay in Patra) and this was good. Good highways. GPS brought us to wrong street but we were just one street over. 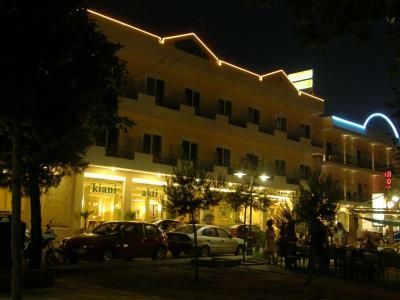 2nd rime that I stayed in this nice kirtle hotel. 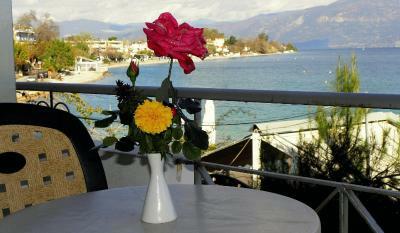 it is aituated directly on the water in the town. Value for money is great. Room was clean and everything was fine. Proximity to sea. Parking at back. Wifi. 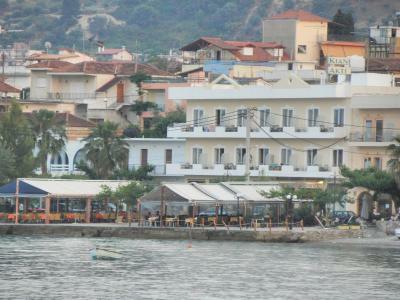 Tavernas up and down the street. Spacious rooms with water view. We have stayed here several times. 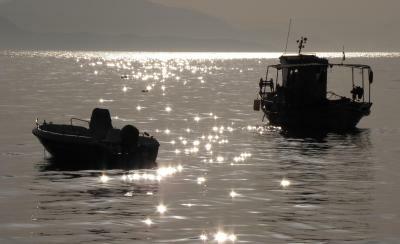 It is a good location for travelling between Patras and Piraeus. 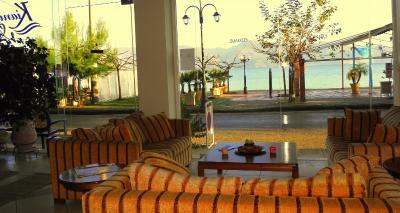 It is a traditional, modest Greek hotel with good offroad parking, and close to several tavernas. The view from the balcony to the sea. Easily accessible by car. Good location and friendly staff. Warmed room in advance of arrival. 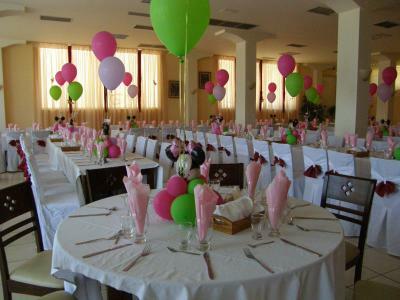 The personnel was extra friendly, very helpful, very nice and more than made up for other minor inconveniences. The cleaning ladies were really efficient and very accommodating. The restaurant at the base of the building - best food and best service, by far, from the entire resort. 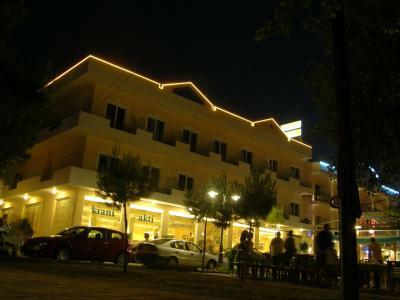 Hotel Kiani Akti This rating is a reflection of how the property compares to the industry standard when it comes to price, facilities and services available. It's based on a self-evaluation by the property. Use this rating to help choose your stay! 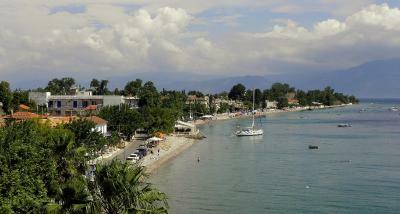 Located in the pretty coastal village of Selianitika, the Hotel Kiani Akti occupies a prime position on the waterfront, next to the village’s quiet beach. The Kiani Akti features just 24 neatly decorated and well presented guest rooms, many of which feature a private balcony with sea views. 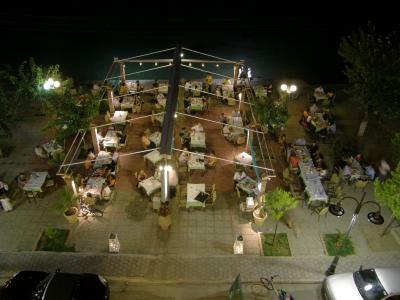 The hotel’s on-site restaurant is popular with locals and tourists alike, serving a delicious menu of Greek specialties and traditional cuisine. 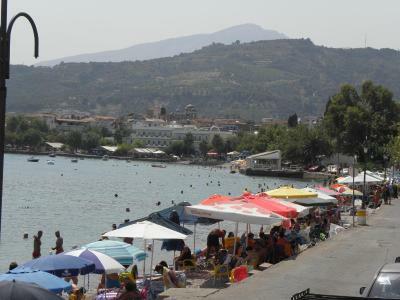 Selianitka is a traditional Greek coastal village with lots of character and a lovely sandy beach. 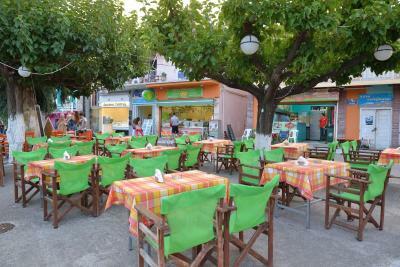 The town of Egio, one of the oldest cities in Greece, is just a few miles away. 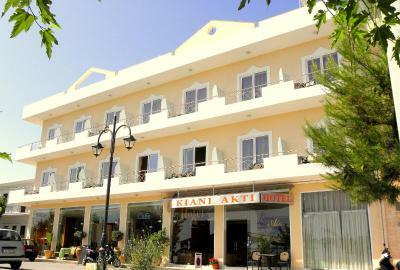 When would you like to stay at Hotel Kiani Akti? Featuring wooden floors, this room is equipped with air conditioning and a plasma TV. Featuring wooden floors, this room is equipped with air conditioning and a plasma TV. It offers a balcony and sea views. Featuring wooden floors, this spacious suite is equipped with 2 air conditioners, plasma TV and a refrigerator. 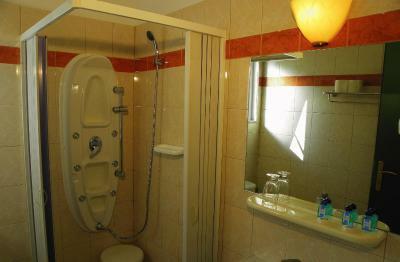 It offers 2 bedrooms and a balcony with sea views. 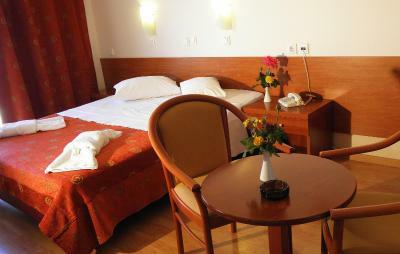 Featuring wooden floors, this room is equipped with air conditioning and plasma TV. It offers a balcony and sea views. 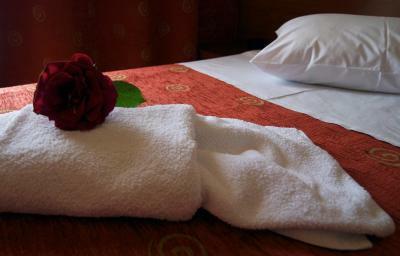 Featuring wooden floors, this room is equipped with air conditioning and plasma TV. It includes 2 single beds. FREE INTERNET ACCESS,TV,A/C. 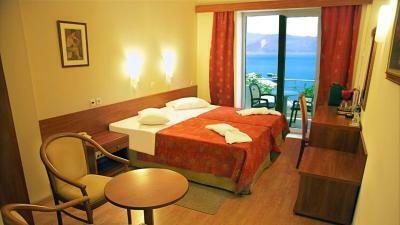 SEA VIEW HOTEL,BIG ROOMS,BIG BEDS,BIG TOILLETS,BIG BALCONY,FREE PARKING,NEAR PATRAS PORT.CHEAP PRICE,OPEN ALL YEAR. House Rules Hotel Kiani Akti takes special requests – add in the next step! Hotel Kiani Akti accepts these cards and reserves the right to temporarily hold an amount prior to arrival. 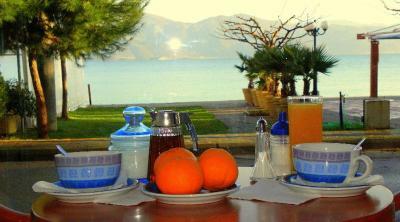 The breakfast is taken in the taverna next door, and could be better organised. The heating system (A/C) is not appropriate for staying during the winter. 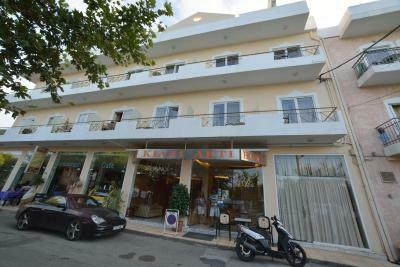 Older hotel but suitable for us for a one night while transiting to Peloponnese. €5 breakfast is provided next door does not include coffee so can end up costing substantially more. Air co was not working so visiting in November meant the room was very cold. And there was no sound isolation at all. We could hear everything from the room beside and the corridor. Clean hotel. 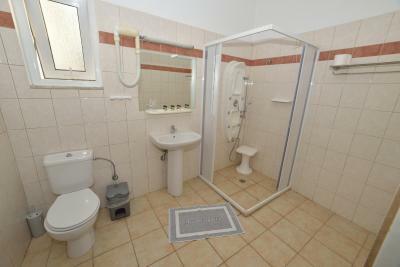 Nice location, reaching the beach with 2 min walk. Good shower. You can see this facility was built a long time ago, and updated (skillfully) relatively recently. Some things could have used a bit of fixing - the AC machine had a screw driven through the blades ( which were not closing properly for that matter) and it was sitting on a piece of plywood that was starting to exfoliate. There was no safe in the room ( we did not need it though) and no coffee/tea kettle. And there were no instructions on how to operate any of the devices - TV (list of channels? ), AC, hair dryer. We were ok but my elderly in-laws needed some explanations.